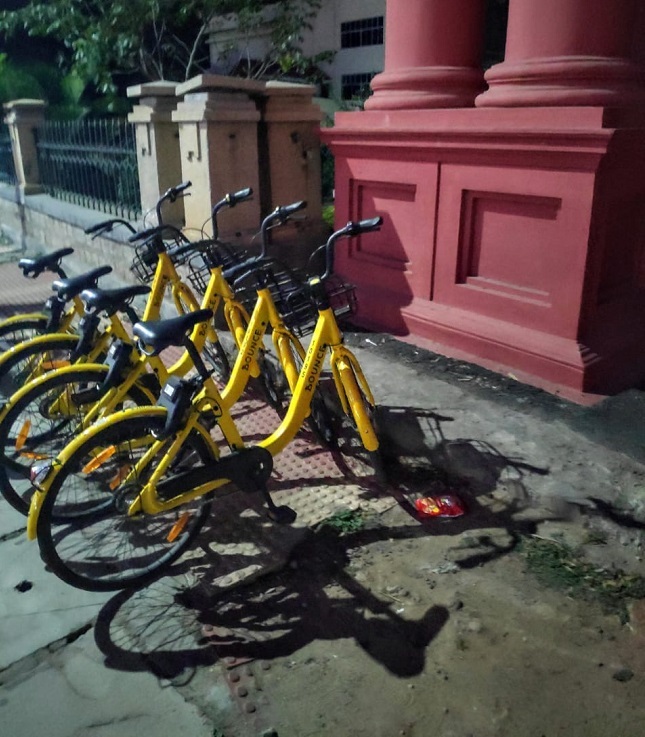 In an attempt to encourage more Bengalureans to switch to bicycles, the Karnataka government launched the Public Bicycle Sharing (PBS) project, also called ‘Trin-Trin’. Around 10 am on weekday mornings, bicycles line up on Indiranagar's 100 feet road in Bengaluru jostling for space amidst the city's ever-congested traffic. "It feels like I am jostling for space on the road since people are rushing to their offices in cars and bikes and I am trying to fit in with a bicycle," bemoans Yogeesh Prabhuswamy, who travels by cycle from the Indiranagar metro station to his workplace in Domlur's Diamond District, around 2.5 km away. The 36-year-old engineer began using Yulu bicycles docked at the Indiranagar metro station last year as an eco-friendly and economical alternative to travel to work. Earlier this week, cyclists like Yogeesh received a boost when Karnataka Chief Minister HD Kumaraswamy launched the Public Bicycle Sharing (PBS) project, which will be called 'Trin-Trin'. Even though bicycle-sharing solutions like Yulu and Bounce have been operating in various pockets of the city over the past year, the state government has now officially launched the initiative to encourage more residents of the city to switch to bicycles similar to other cities in the world like Amsterdam. 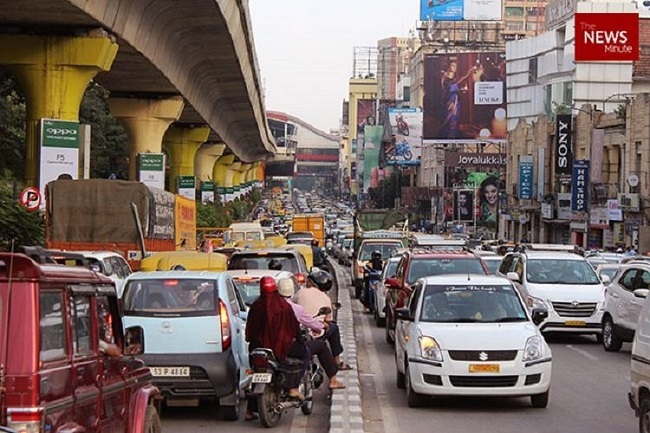 The government has identified 400 parking hubs in the Central Business District (CBD) areas in Bengaluru and at all Metro stations as hubs where bicycles will be docked. The 'Trin Trin' project was initially piloted in Mysuru but a few tweaks have been made while launching the project in the state capital. Unlike in Mysuru, the bicycles are not owned and operated by the civic administration. 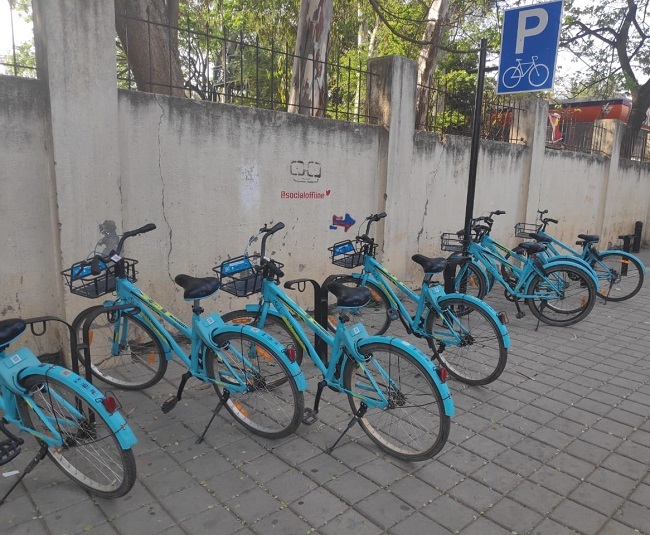 Instead, the state government has ensured that designated points in the city have been marked for private operators who provide bicycle sharing services. "In the Mysuru model, the investment was made by the government but in the case of Bengaluru, the cycles will be provided by private operators who are already providing the service for minimal charges," explains Ponnuraj, Commissioner of the Directorate of Urban Land Transport (DULT), the agency which is overseeing the bicycle project. The agency was influenced by conversations with Mobike and Ofo from China before officials from Yulu and PedL held meetings to convince them that the government was more suited to developing infrastructure than owning and operating cycles. "We explained why taxpayers’ money should not be spent on buying cycles but instead spent on creating infrastructure like cycle tracks and create awareness," explains Amit Gupta, co-founder and CEO of Yulu. Four companies have been issued permits by DULT so far including Yulu, Bounce, Lejonet and Zoomcar PEDL. Among them, only Yulu and Bounce are currently deploying cycles in the city. But even as Bengaluru's civic officials and bicycle operators are trying to get more people to take to bicycles, regular cyclists like Yogeesh are trying their best to stick to them. "My alternative is an auto and auto-drivers charge more than the meter-price and instead of spending time negotiating the price with them, I could get on a cycle and start travelling. The feeder buses from metros too are irregular and overcrowded," says Yogeesh. To encourage more residents to take to cycling, the Bruhat Bengaluru Mahanagara Palike (BBMP) has drawn up a detailed plan to construct cycle lanes in a stretch of over 100 km of roads in the city. The first phase of the project covers roads connecting metro stations from Baiyappanahalli to MG Road, areas in Whitefield and a portion of Outer Ring Road. This is set to be completed by the end of 2019. In spite of the promise of cycle lanes, there are apprehensions about the project. "There should be greater awareness about the lanes in which cycle tracks will be conducted and the public should be actively encouraged to use them. This did not happen when the cycle tracks near Cubbon Park were constructed," points out Murali Krishna, Special Officer at DULT. It is an observation that everyone involved in Bengaluru's bicycle push agrees with. "Without dedicated lanes for cycles, I am left fending for myself on the road. I have to navigate potholes and also be careful when buses stop on one side of the road forcing me to ride closer to the middle of the road," adds Yogeesh. These are hassles that dedicated cycle lanes will solve but it remains to be seen if they will be in place by the end of this year and whether it will encourage more people to turn to cycles.